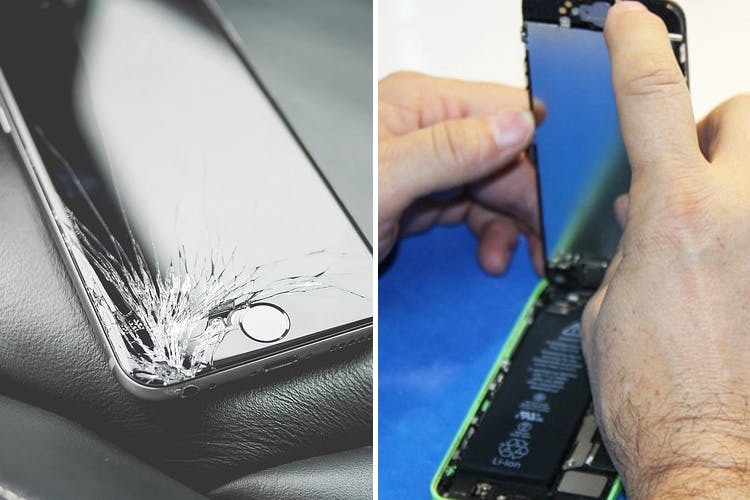 It’s important to be extra careful to not get your phone wet during the monsoon season; but if that does happen – we’ve found a few places that can help you with speedy repair & recovery. Tirupati Cellular repairs all brands of mobile phones, with 24-hr repairs possible as well. The time it takes to repair, depends on the amount of damage done to your phone. They also offer pick-up of your device if you life in the nearby locality. Sam Mobile Shoppee has worked wonders on one of our Android phones that had fallen into water. They can also repair your phone within 24hrs, and aren’t usually very expensive. Sony Prayag Communications can repair all kinds of mobile phones, also within 24hrs. If the damage to your device is too severe, it may take a bit longer – between 2-3 days. Repaireasy.in offers free pickup and drop service, and will give you an estimate of the cost before continuing with repairs. One of their specialities is dealing with water damage, and they offer a speedy and effective solution depending on the extent of the damage to your phone. You can speak to their engineers over the phone, or drop by their Dhole Patil Road store to get an idea of the time it will take, and the cost involved. JK Mobile Shoppee offers repair and recovery for water-damaged phones, but will need to inspect the device first before promising on a time-frame. They know what they’re doing, and are quite helpful in guiding you with how to handle a water-damaged device.